WordPress is frequently the target of malicious attacks by hackers. In April 2013 a global brute force attack hit WordPress installations on virtually every host server in existence. These attacks were caused by botnets (networks of infected computers programmed to attack other installations with security vulnerabilities). Does This Mean We Should Stop Using WordPress? One of the many ways hackers use to try and break into a WordPress site is by trying to guess the site admin’s login username and password. This can be achieved using software tools that can work through hundreds of login permutations in minutes. If you’re using weak usernames and passwords that are easy to guess, your website could be an easy target for hacking attempts. This is called a “brute force” attack. A “Botnet” is a network of private computers that have been compromised and infected with malicious code or software, which are then controlled remotely as a group, typically without the computer owners’ knowledge. Botnets are typically used to send out mass spam emails from the infected computers of compromised user accounts. The ongoing botnet attacks on WordPress sites were highly distributed and well organized. Over 90,000 IP addresses were identified by a number of hosting companies just in the initial attack, when the web was flooded with millions of attempts to force their way into WordPress users administration areas. The worldwide attack continued after this, with over 30,000 WordPress blogs being hacked per day. No. In fact, there are many great reasons why you should choose WordPress if you are concerned at all about the security of your online business. We explain why WordPress is a secure platform for websites in this article: How Secure Is WordPress? It’s important to note that, in the case of April 2013 mass brute force attack described above, there was no WordPress vulnerability being exploited (the same script was also attacking sites built using platforms like Joomla). Every site with a vulnerability offers some value to hackers. An unsecured web site provides hackers with a platform to launch DDoS attacks, spread malware and engage in information theft. If someone can find a security flaw, that site can then be used as a “bot” to attack larger and more valuable sites. Additional undesirable results of having your site hacked and your site security compromised include getting blacklisted by search engines, having stealthy spam links advertising things like online meds, cheap offers on brand names, etc. inserted into your content, redirecting visitors to phishing sites and other websites, data exfiltration (stealing information or Personal Identifiable Information from your web applications), and lots of other nasties. The truth is that hackers are very likely looking for exploits and trying to break into your site right now. Whether they will get in successfully or not, depends on how challenging you will make things for them to continue trying until they work out a way to get in, or give up and go look for a less protected target. It should be obvious after using the tool shown above that if you are able to access all of this information about your WordPress site, then hackers can too. Being able to see what version of WordPress you are using, which plugins and themes you have installed on your site, and which files have been uploaded to certain directories on your server are all useful information to hackers, as this informs them about potential security vulnerabilities, especially in older versions. If your website is powered by WordPress and you’re not precautionary steps to bolster the security of your site, we can practically guarantee that, at some point, your site will be hacked, or at least targeted by bots, because these brute-force attacks are systematically targeting WordPress installations around the world! Whenever a website or blog gets compromised, blog owners will find themselves “locked out” of their own site, or notice that their content has been interfered with or that everything has been entirely wiped out. Typically, compromised sites will be infected with malicious scripts without the owner’s knowledge or awareness. To help avoid the heartache and frustration that comes with having your website being hacked into, below are ten simple, yet essential and effective security checks that will help to protect your WordPress site from being brute-force attacked. 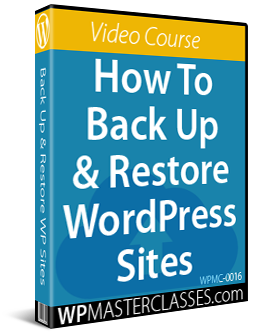 Note: A few of the recommended measures below require some technical understanding of how to modify core WordPress and/or server files. If you have no technical skills, or don’t want to mess around with code on your site, then ask your web host or a professional WordPress technical provider for assistance. Get in touch with your hosting provider and ask them exactly what precautions are in place to help prevent your site from botnet attacks, and what is done to ensure that your server files and data get regularly backed up. Make sure that your hosting company is regularly backing up your server files and that, if anything goes wrong, you can easily get back your files and data. Again, we cannot stress enough how vitally important maintaining your WP installation frequently backed up and updated is. WP site maintenance is not hard or time-consuming, but it must be done to ensure the security of your website or blog. If you don’t want to learn how to do WordPress maintenance yourself, get someone else to do it but make sure it gets done. Backing up your website is the second most important thing you should do after making sure that you still have a pulse! The brute-force attack on WordPress is mostly attempting to compromise website admin panels and gain access to sites by exploiting WordPress sites that used “admin” as their account name. For reasons of website security, never install WordPress sites with the username admin. This is the first thing hackers will test. If your site’s username is admin, change it immediately. A “brute force” attack occurs when malicious software persistently hits a username and password field with different character strings trying to guess the right login combination that will give the hacker access to your site. Unless you put some measure in place to block the brute-force attack from happening (see further below for a couple of simple and effective ways to do this), the “bot” will just keep attacking your site until it eventually works out the combination. 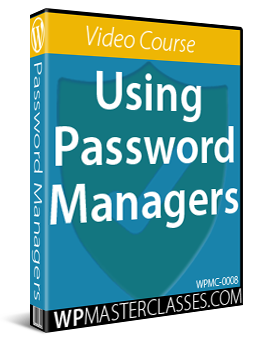 Passwords that are easy to guess, therefore, are very easy targets for brute force attacks. Make sure that you change your password to something that contains at least 8 or 9 characters long, and that includes upper and lowercase letters, combined with a few “special” characters (%^#$@&*). 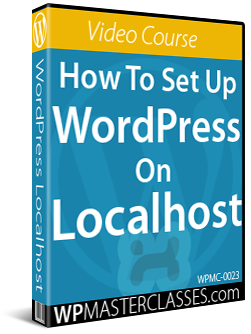 The wp-config.php file contains important information about your WordPress site’s database and is used to define advanced options for WordPress. If hackers break into your site, they will look for the wp-config.php file, because this is the file that contains your database information, security keys, etc. 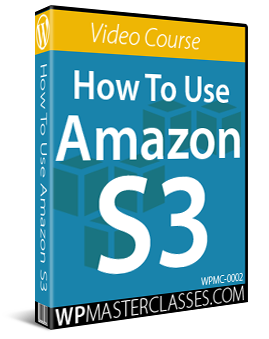 Getting access to this information would allow them to change anything in your database, create a user account, upload files and take control of your site. In order to protect your WordPress site from attacks and even being used as part of a bot net, therefore, you must prevent your wp-config.php file from being easily accessible. 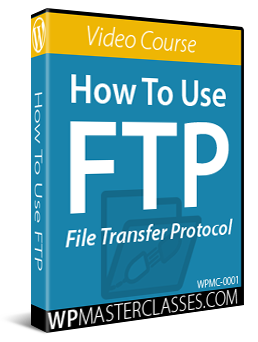 This requires knowing how to edit database information, move files around in your server and changing access permissions. 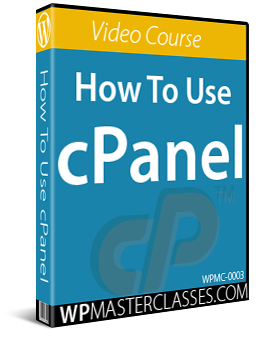 Rename or delete the install.php, upgrade.php and readme.html files from your server. You can remove these files after installation, as they are unnecessary. If you don’t want to remove these files, then just rename them. Hackers look for vulnerabilities in earlier versions of WordPress that they can exploit, including out-of-date versions of plugins and themes. WordPress comes with a built-in editor feature that allows administrators to edit theme and plugin code inside the dashboard area. This means that anyone logging into your site’s admin area can see and modify all of your WordPress theme templates, and create havoc on your site. To prevent people from accessing your WordPress Theme editor, you will need to disable it. This can be done by editing your wp-config.php file. The “uploads” folder stores all the media that gets uploaded to your website. If any directories in your website have weaknesses or vulnerabilities that can be exploited by malicious users, this can become a serious threat to the security of your site. Protecting your directories will prevent unauthorized people from viewing your ‘uploads’ folder and other important directories. This can be done using plugins, setting file permissions, adding a blank index.php file (this is literally an empty file named “index.php”) to your uploads directory, and so on. Again, it’s best to hire a professional if you are unsure about what to do. A number of security plugins for WordPress are available that specifically address most common security issues faced by WordPress website owners, such as preventing hackers from accessing your site, protecting your website from malicious scripts, preventing unauthorized file uploads, etc. Many WordPress plugins address some but not all areas of WordPress security. One WordPress security plugin that does a comprehensive job of scanning, fixing and preventing issues that could lead to hackers accessing your website files and causing irreparable damage to your site is SecureScanPro. SecureScanPro is easy to install and easy to use, and does a great job of addressing most of the security issues that WordPress users need to address. Another plugin you may want to look at using is BlogDefender. 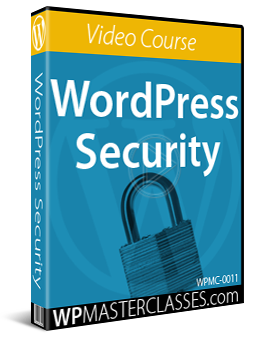 This product is a suite of WordPress security video tutorials, plugins and tools, plus a WordPress security PDF/DOC file. WordPress is a secure platform, but neglecting essential maintenance tasks like ensuring that your WordPress installation, plugins and themes are kept up-to-date, tightening file and data protection and taking other necessary precautions can expose your site to malicious by hackers and bots. Regardless of the type of business you run or plan to run online and how small you think your web presence is, you simply cannot ignore the importance of securing your site. As you can see, WordPress security is very important if you run a WordPress site. Hopefully, the information in this article has shown you what to do to prevent brute-force attacks on your WordPress site. If you need any further help or assistance with WordPress security, please seek help from a professional WordPress security specialist, or search for a WordPress technical provider in our WordPress Services Directory. Also, do yourself a favor and subscribe to WPCompendium.org to receive notifications via email when we publish new tips on WordPress security and tutorials about new security plugins.